A serial puppy kisser, Natalie can be found buzzing around treatment, writing protocols, teaching/mentoring team mates, arranging schedules and helping perfect your pet’s smile with her slightly abnormal obsession with dentistry. With 13 years in the Vet industry, she’s met many challenges (other than overcoming her irrational fear of birds!) and still welcomes new ones. Outside of the clinic, she loves to spend time with her neurotic German Shepherd mix, Jayme, her flawless cat Maurice, and a kitty that keeps getting foreign bodies who answers to Bug. She and her husband, Matt, love spending time at their camper and travelling (what’s up Vegas!?). 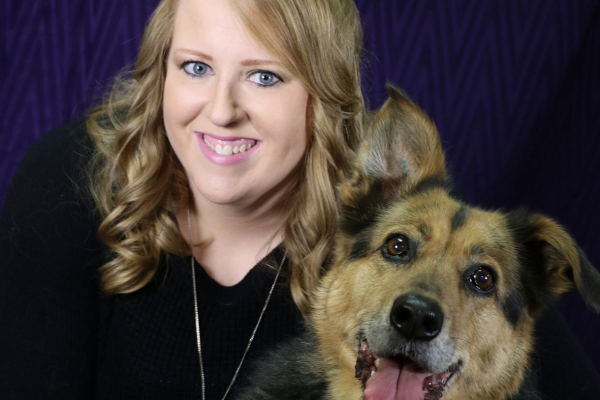 Graduating from Thompson Rivers University in 2010 as a registered Veterinary Technician has opened a lot of doors for Natalie and led her to become the Head Veterinary Technician & Manager for CBS Animal Hospital.